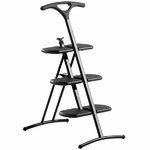 Tiramisù stepladders are a functional object to every home. The folding stepladders have a slip-resistant finish. The handles offer support during use, and afterwards the ladders can mounted on the wall. 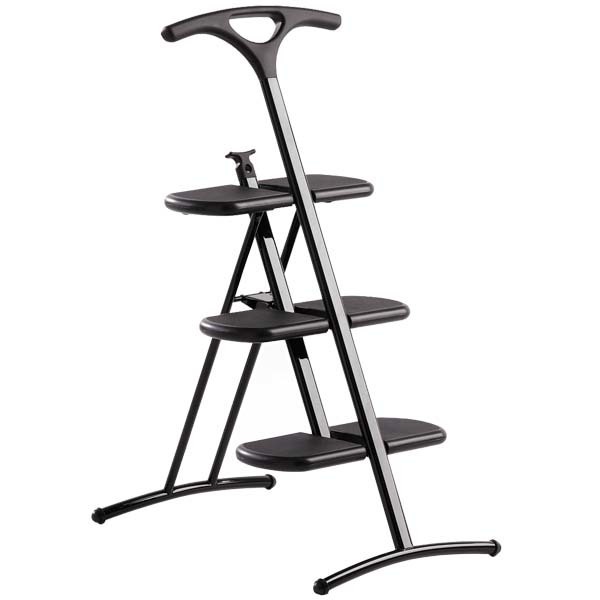 The Tiramisù stepladders by Kartell are designed by Andries Van Onck in 1991. The dutch Milan-based designer Andries van Onck (b.1928) was tought by Gerrit Tomas Rietveld before he started studying in Ulm at Hochschule fire Gestaltung. He started his career working as a designer for Olivetti in Italy and opened later his own studio in Milano where his wife Hiroko Takeda joined him. Together they designed numerous furniture, household appliances and electronic products. Van Onck has won several prestigious awards like the Compasso d’Oro design award. He has also always been interested in the theoretical approach of design and has therefore worked as a reacher and written scientific articles and even two books.